Widely known to improve your digestive system, these Dates are also very low in fat and are great energy boosters! Snack on these mineral and vitamin rich Dates or try stuffing them with any of our Almonds or chopped Walnuts to add more flavor to your bite! • A great source of potassium, iron, copper, antioxidants, and Vitamin A. • Like this mix? Try our Dried Fruit Medley! Dates come from the tropical oasis where the palm tree thrives. The palm tree does well in warmer climates and originated from the area near the Nile and Euphrates River. Dates are not only nature's best sweetener, they are packed with nutrients, essential minerals, vitamins, and fiber. In addition to their health benefits, dates have other benefits like increasing sexual stamina and are a remedy for alcohol intoxication delivering a strong sobering effect. HIGH FIBER SOURCE: Dates are full of both soluble and insoluble fiber. According to the USDA Nutrient Database, the high fiber content in dates facilitate digestion, balanced blood sugar levels and decreased cholesterol levels. 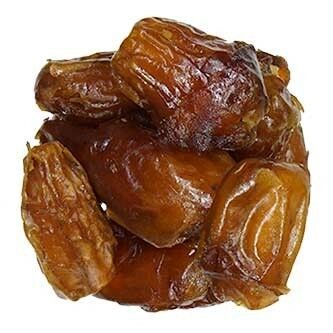 The high fiber content in dates makes them a heart healthy food with very low sodium and fat. ENERGY BOOSTER: Dates contain all natural sugars like fructose, sucrose, and glucose. The European Food Information Council states that the natural sugars and carbohydrates are good for boosting energy rapidly. At the same time, dates are a low calorie food, making them perfect to satiate a sweet tooth and provide a source of energy. MINERAL & VITAMIN RESOURCE: Dates are full of essential minerals that provide improved overall functionality and health of the body. Dates come in different varieties with varying vitamin and mineral content based on the type of date. Most date varieties are known for high levels of minerals like potassium, calcium, magnesium and iron, as well as vitamins A, B-6 and K. Different systems in the body benefit from this array of nutrition, such as the blood system, nervous system, cardiovascular system, muscular system, and digestive system. TOP KITCHEN USES: Of course one of the best ways to enjoy dates is in their natural state. Slice them up and add them to a rice or quinoa dish with almonds, or stuff the dates with nuts or cheese. Dates are also a great natural sweetener for ice cream, power or granola bars, breakfast dishes or desserts. 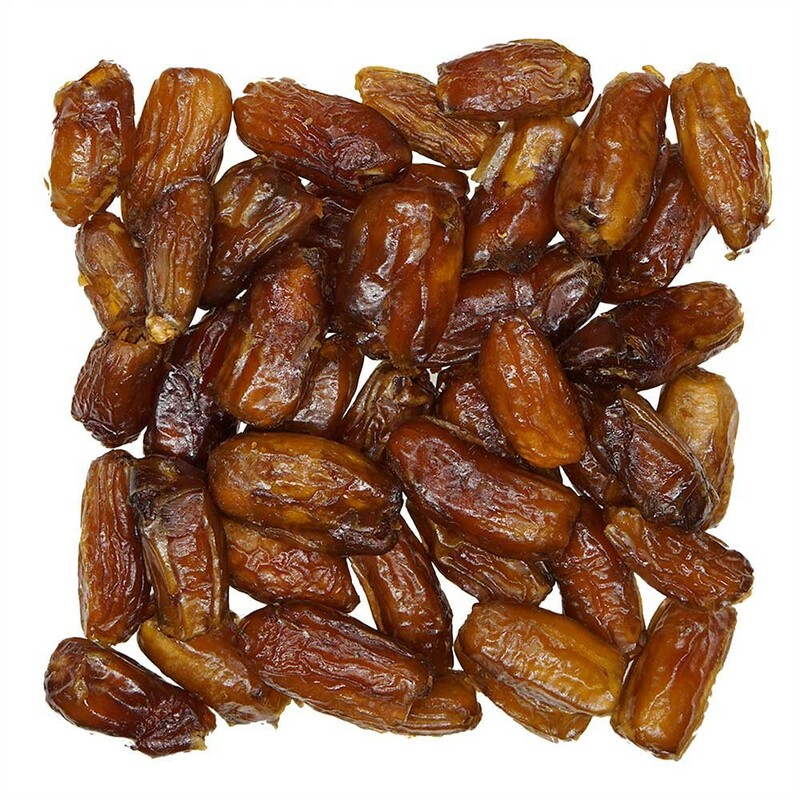 Eatnuts.com has the best whole date fruit on the Internet. 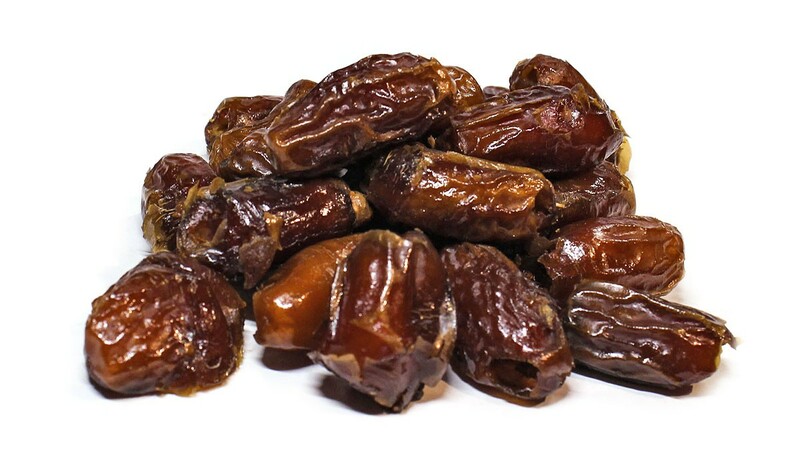 Widely known to improve your digestive system, these Dates are also very low in fat and are great energy boosters! Snack on these mineral and vitamin rich Dates. Eat Nuts Today.